The studios were not ready to make their peace with rentals, however. Their next move was to implement a series of ever-more baroque “rental plans,” which involved various schemes to try to distinguish between “rental” cassettes and “sale” cassettes, including the use of different color plastics for the cassette shells. Thus, “rental” cassettes were red, while “sale” cassettes were blue. The idea was that “rental” cassettes would not actually be sold to rental stores but licensed, thereby pulling an end-run around the First Sale Doctrine. Since the stores would never legally own the cassettes, they could not unilaterally exercise their right to rent them under Section 109 of the copyright statute. Instead, they were compelled to pay a “royalty” to the studio on each rental transaction. Retailers, however, vigorously resisted what they saw as heavy-handed studio involvement in their business (especially since what they were doing was perfectly legal), to say nothing of the Rube Goldberg complexity of it all. Moreover, there was nothing to stop them from simply purchasing “sale” cassettes from other retailers and renting them to their hearts’ delight without any “royalty” payments to the studios. The rental plans ultimately collapsed of their own impracticality. Eventually, the studios settled on the more straight-forward expedient of simply pricing cassettes at $80 or $90, essentially charging retailers upfront for what the studios regarded as “their” cut of the rental pie. For awhile, the arrangement brought relative peace. Consumers were still enamored of the novelty of being able to rent movies to watch at their leisure and kept video stores hopping on Friday and Saturday nights while the studios grew to appreciate the fat margins they earned selling used movies–as the joke at the time had it–to rental shops. The high price of cassettes effectively precluded consumer purchases, even among those who might have been willing to pay the old price of $30 or $40. The same high prices limited the number of copies of any given movie a retailer could profitably stock because each cassette had to be rented 15 or 20 times to turn a profit. Too many copies and the turns per copy were diluted to the point of being unprofitable. Thus, on any given Friday night there were orders of magnitude more people looking to rent the latest hit release than could possibly be satisfied by the copies available in the market. Most were forced to rent something else, or go home empty-handed. The studios, in other words, whether by design of simple myopia (my own vote) had created a system that was guaranteed to thwart consumer demand, all to make sure that no one else would be able “unfairly” to make a profit off “their” movies. By the early 1990s, however, the flaws in the system were starting to show. The novelty of renting was wearing off and the market’s built-in disappointment factor was starting to weigh on consumer rentals. 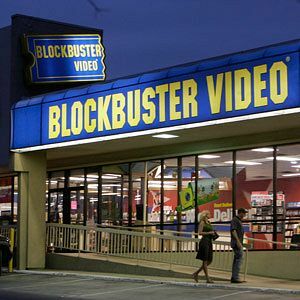 Major rental chains led by Blockbuster Video–at the time commanding some 40% of the rental market and the studios’ largest single customer–began pressing the studios to slash the initial cost of cassettes so stores could stock more copies of the hits. In exchange Blockbuster would agree to share a percentage of the rental revenue with the studio–essentially the old studio rental plan but now on the retailers’ terms. Again the studios huffed and puffed by ultimately went along. Still, they chafed at Blockbuster’s power to dictate their margins by setting the terms of the revenue split. The introduction of DVD in 1997, in fact, was in no-small measure a self-conscious effort on the part of at least some studios (Warner Bros.) to break Blockbuster’s hold on their margins by fostering a robust sale market to entice consumers away from renting. By shifting to optical discs that could be pressed quickly and in volume on a production line to replace dubbed-in-real-time cassettes, the studios were able to drive down their own unit cost to a point where they could price movie for $25-$30 while maintaining a fat margin. The strategy was an immense success. “Sell-through” retailers like Wal-Mart, Best Buy, Target and Kmart (remember them?) embraced the new format and quickly supplanted Blockbuster as the dominant retailers of movies. No longer frustrated by rental stock-outs, consumer spending on home video purchases soared, along with studio revenue and profits. Rental demand never fully went away, however. 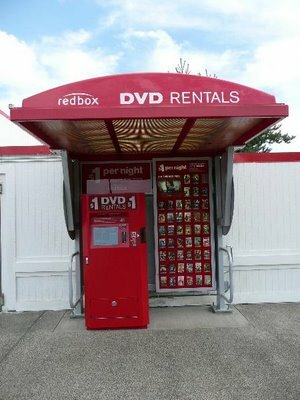 The rise of the World Wide Web allowed ainnovators like Netflix to reinvent the rental experience by eliminating the trip to the video store and doing away with hated late fees. Millions of monthly subscribers later, Netflix now has a market cap of more than $2.5 billion. More recently, automated kiosk operator Redbox (headed by former Netflix co-founder Mitch Lowe) has found a thriving niche offering dollar-a-night rentals in supermarkets and mass merchant outlets. Today, however, with consumer purchases of DVDs waning in the face of format-maturity and economic malaise, the old tensions over rentals are re-emerging. Fearing the “devaluation” of their movies, three studios–Universal, 20th Century Fox and Warner–have again set out to frustrate consumer demand by strong-arming DVD wholesalers into not selling their movies to Redbox until 30-45 days after their initial release on DVD. Not surprisingly, that has prompted litigation from Redbox and kindled a blast-from-the-past industry debate over the First Sale Doctrine. Warner Bros. has even turned a wary eye toward Netflix, seeking to prevent the subscription rental service from offering consumers its movies until 28 days after their initial release–the better to compel consumers to buy them, presumably. All of which brings us to the studios’ twin lawsuits against Kaleidescape Systems and Real Networks. Both companies were accused in the litigation of violating the terms of the the CSS license governing the design of DVD playback systems. Real was also accused of violating the DMCA by selling a device designed to circumvent copy-protection on DVDs. In both cases, and in the PR battle around them, the studios waved the bloody shirt of piracy to argue for suppressing Kaleidescape’s home media servers and Real’s DVD copying software. But that was always a peculiar argument in these cases.